Good jewelry is the key to sprucing up any outfit, and I love Monique Pean‘s unique finds. She uses precious and semi-precious stones in all her creations and celebs flock to them! Paris, Nicky, Nicole and Cameron (you know, all the one-namers) all love the designs! 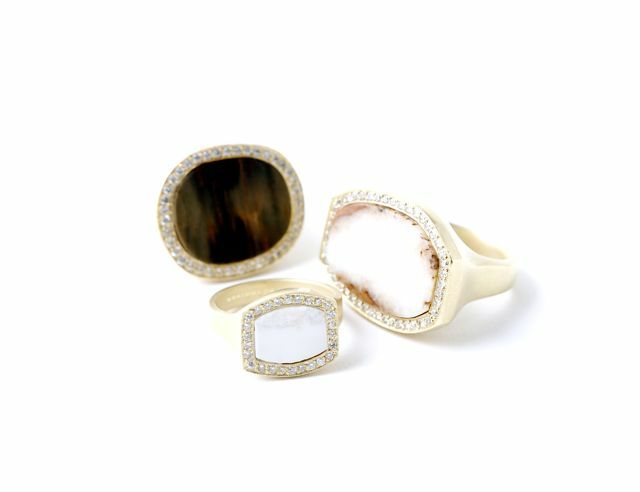 Aren’t the rings from the Bering Collection just stunning? And the line is socially responsible, to boot. Funds are used to train Alaskan native artists and preserve the disappearing culture and landscape. Now that’s chic! Share the post "Label Lust: Monique Pean"